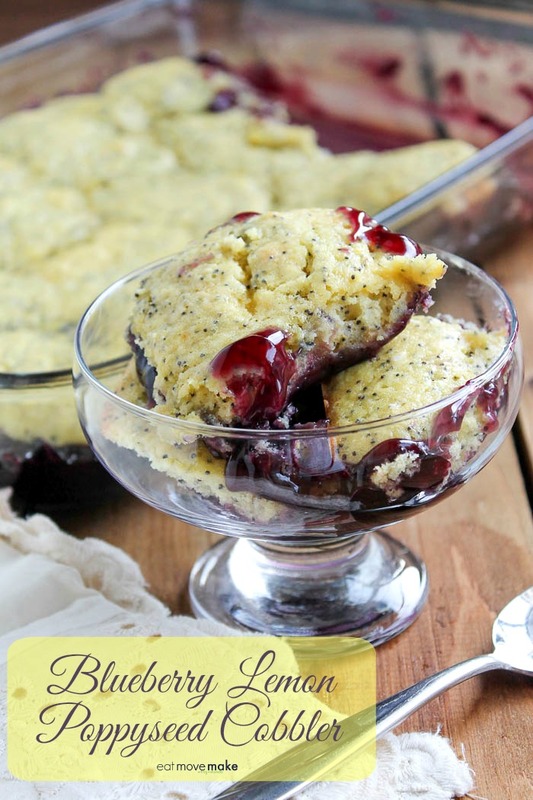 Blueberry Lemon Poppyseed Cobbler - Perfect for Brunch Menus and Easter Dessert! Have you ever noticed how magical it is when blueberry and lemon mingle? It’s happiness, I tell ya. 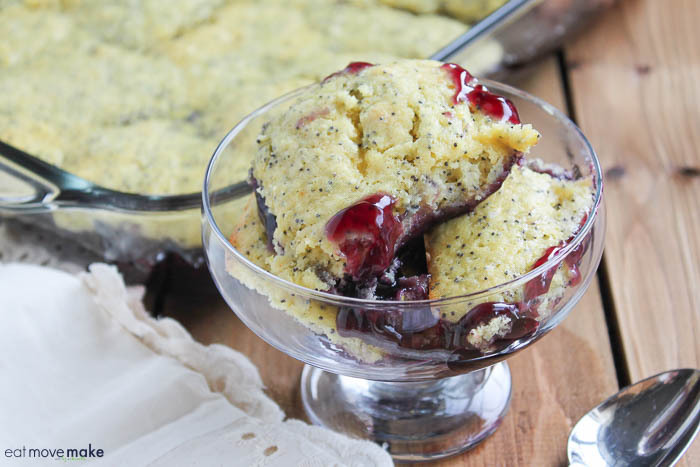 So I couldn’t help but get them mingling in this yumtastic blueberry lemon poppyseed cobbler. I think it’s a fine way to welcome in spring, and it’ll be a delicious addition to a brunch menu or Easter dinner. It’s a blast showing you how versatile Krusteaz products are. They’re scrumptious when prepared as directed (obviously), but it’s so much fun to think outside the box with them too. You might be surprised with how many delectable ideas you’ll dream up, and this blueberry lemon poppyseed cobbler is one of my recent ideas. Lucky for you, I’m sharing it! It’s sooooo easy to make. Simply drop big spoonfuls of the batter on top of blueberry pie filling, then bake. What are you waiting for? Grab a spoon! Of course, it also tastes delicious with a scoop of ice cream or whipped topping, but I’m too impatient for that. There are no rules; just dig in! 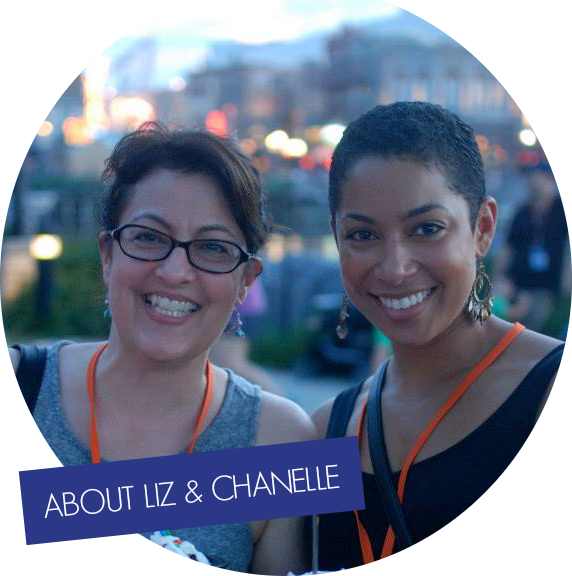 You’ll find my blueberry lemon poppyseed cobbler recipe on the Krusteaz website. You might want to spend some time browsing through the other recipe ideas too. What a great idea! Lemon poppyseed muffins are a favorite in my house, especially with my (picky eater) youngest. And I love that it’s so easy with just 2 ingredients. I can see all sorts of possibilities using different kinds of muffin mix and pie filling. By merely looking at it, make me full. They are so delicious! What?! This looks sooo good! I love poppyseed muffins and this takes it to a whole other level of amazing! I am seriously going to make this, thank for the idea! One of my favorite flavor combinations is blueberry and lemon. What a unique twist on a classic cobbler! Blueberry and lemon really do go together well. This looks dream. We love Krusteaz here too. Cobbler and ice cream are the perfect combo. So, yes, I agree, top that beautiful dessert with some ice cream and call it a day! If this were sitting in front of me, I assure you I wouldn’t be waiting to dig in. haha This looks delish! I have literally never heard of a cobbler like this before. This is brilliant and looks so good. This looks delicious! I love that it only uses 4 ingredients and 5 minutes prep. Oh Yummy! My kids and husband would flip for this! Looks so sweet and tangy! I love the taste of lemon and poppyseeds, but I’ve never made a dessert using either one of them. Your recipe looks simple enough and so delicious too! Cobbler is one of my family’s favorite desserts! This would be a very nice recipe for my Easter dinner. I always thought that I didn’t really like cobbler. I didn’t know it could look like THIS. 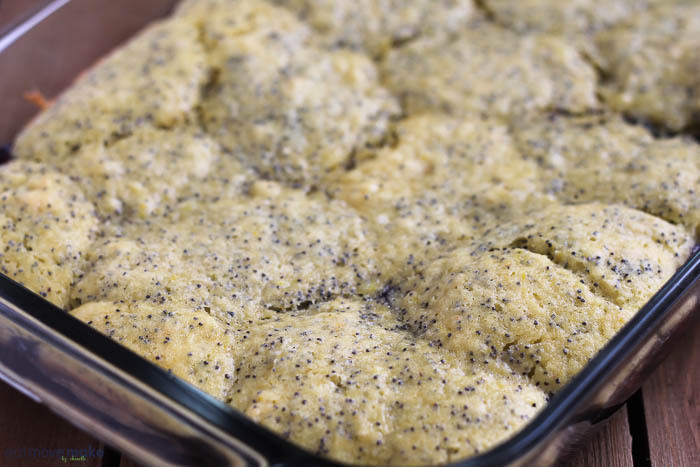 I’m also just a huge fan of poppyseeds so maybe that’s why this recipe looks so inviting! I love the brand and we’ve been buying their for the longest time. I never once thought about making a cobbler though! This is awesome and it looks so tasty as well. Yum! Thanks for the recipe. I never thought of a lemon, blueberry combination before but I love them both so I’m sold. The texture of poppyseeds in muffins just adds to this delicious idea. I will check out the Krusteaz site. You had me at cobbler! Wow this has got my tastebuds going this afternoon! I cant wait to make this, we love anything blueberry in this house! I am a fruit cobbler connoisseur and I’ve never heard of this combination. How yummy! This looks really good. Never seen anything like this. Would love to give it a try, I’m not the biggest fan of blueberries but a little bit of this every now and again would be great! I love this flavor combo! I enjoy lemon poppyseed but never tried it with blueberry! Definitely going to try it! This is a refreshing dessert change. I really like the looks of it. This sounds so delicious! I love blueberries. I will have to make this soon! This will be a perfect dessert for this weekend. I will have to get the ingredients I need to make some. It looks so delicious and easy to make. Blueberry and lemon is such a perfect flavor combination! I do love to keep Krusteaz on hand because it really is versatile. I love how yummy their mixes are, and the price point is excellent for the budget! This does sound delicious. Definitely a great dessert to try for spring. These are some of my favorite flavors , I have to have this! I want it for breakfast! This sound so scrumptious and looks divine. I’d have to top mine with whipped topping. This looks absolutely delicious! I love anything lemon so I know I’d love these! This is perfect for the spring! 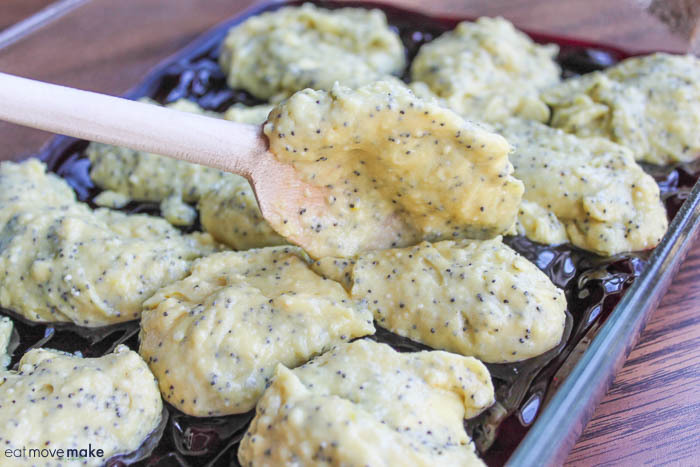 I never use poppy seeds in my baking, I should try them! You had me at lemon. Yum! These look delicious! Yes please. Anything involving blueberries or a delicious crust and i am in. I love lemon poppyseed muffins but I have never made a lemon poppyseed cobbler. It sounds delicious. That is really a unique combination. I love blueberries so I want to give this a try! This recipe looks super delicious. I would love to make this for my family. I love blueberries (I’m so ready for blueberry season!) and lemons are a perfect pairing. This recipe looks delicious! For the love of deliciousness this sounds amazing! I bet that blueberry lemon combo is to die for! This looks amazing. Blueberry and lemon are one of my favourite combinations. I’ll definitely be pinning this to make later. Oh I love cobbler recipes! This one sounds especially delicious! May have to give it a try! I’m drooling just looking at this. Nom Nom! Poppyseeds are wonderful with anything lemon. I use Chia Seeds at times too. I have never tried to do anything besides just regular muffins with it. This sounds delicious. Great idea! Oh my word – I want to eat that entire thing. This is RIGHT up my dessert alley! This looks amazing! My hubby is a huge blueberry fan so I definitely need to make this! I love lemon poppyseed muffins so this combo would be a hit in my house! Would be great served with ice cream too! Cobbler is my new love. I haven’t had one like this and it sounds delicious so need to try it! I need this in my life. I don’t do a lot of cooking, but when I do, it’s something like this. Thanks! That is absolutely amazing! This is the kind of dessert I love to make for my family, because it’s delicious and EASY! That looks totally amazing. 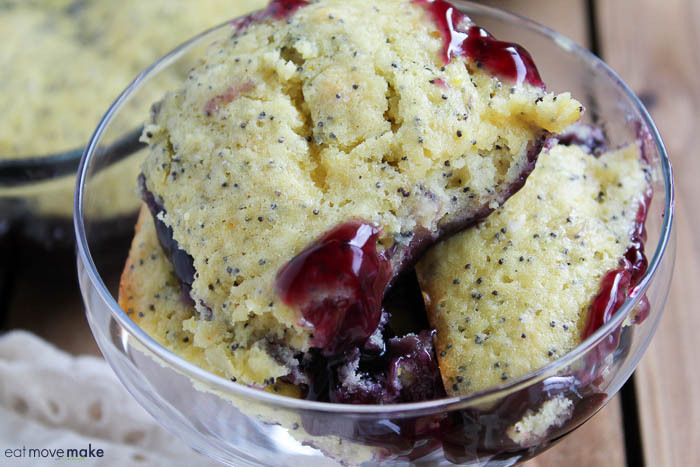 It’s like a lemon poppy seed muffin topping blueberry goo Heaven!